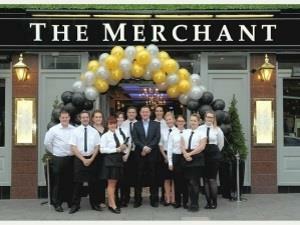 The Merchant01277 240600work BarThe recently refurbished Merchant is a popular pub, offering a food menu packed with tasty British favourites and a drinks range featuring a great range of ales. Whether you just want to relax with a few friends or enjoy a three-course meal family, it’s an ideal destination for all. The recently refurbished Merchant is a popular pub, offering a food menu packed with tasty British favourites and a drinks range featuring a great range of ales. Whether you just want to relax with a few friends or enjoy a three-course meal family, it’s an ideal destination for all.